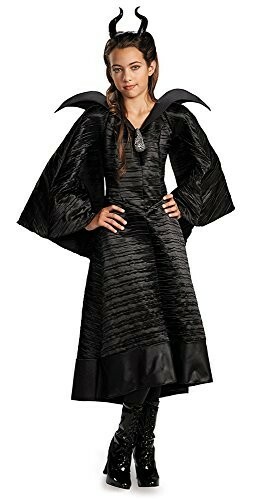 This beautiful replica of the costume from 2014's Maleficent is sure to be a hit! The deluxe dress comes with a detachable brooch and a 3-Dimensional collar. Also included is a headband with horns. Please note: staff not included.